Aromatic massage oils, available in three therapeutic blends. 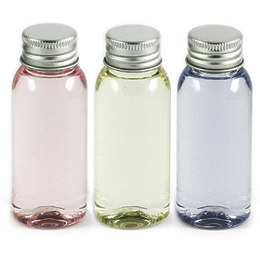 Transparent, recyclable 50ml PET bottle with stylish aluminium cap. Fragrances/Colours: fatigue fighter (yellow), anti stress (purple), wellbeing (pink).